Should there ever be any link between the words ‘child’ and ‘soldier’? On the 13th ‘International Day against the Use of Child Soldiers’ (February 2015) UNICEF and the United Nations (UN) Special Representative for Children and Armed Conflict reported that children are increasingly vulnerable to recruitment and use by armed groups in conflicts in over 20 countries worldwide. An estimated 250,000 children, some under-8, are forced to witness, or participate in, acts of unspeakable brutality. In the past decade 6 million children have been seriously injured or disabled in conflicts and more than 2 million killed. 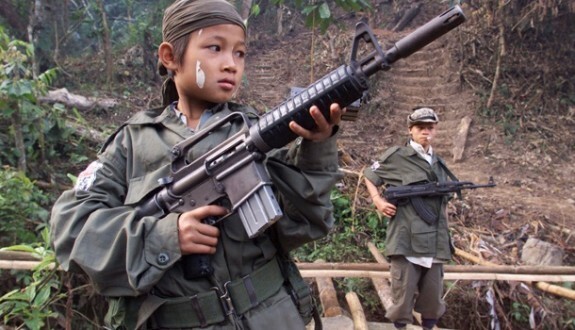 Child soldiers are any children under-18 who are recruited by a state or non-state armed group and used as fighters, cooks, suicide bombers, human shields, messengers, spies, or for sexual purposes. Children who are poor, displaced from their families, with limited access to education, or living in a combat zone are most likely to be forcibly recruited. Children may ‘volunteer’ due to societal pressure and misleading offers of an income, food, or security if alone. Girls make up an estimated 40 percent of child soldiers and are especially vulnerable to sexual violence. Human rights law declares 18 as the minimum legal age for recruitment and use of children in hostilities. Recruiting and using children under-15 as soldiers is prohibited under international humanitarian law and is defined as a war crime by the International Criminal Court. In Iraq and Syria, the advances by ISIS have increased children’s vulnerability to recruitment. Children as young as 12 are undergoing military training, and have been used as suicide bombers and to carry out executions. Despite progress in Afghanistan to end child recruitment into national security forces recruitment continues by groups such as the Haqqani Network and the Taliban. In the Central African Republic (CAR), UNICEF estimates that between 6,000 and 10,000 children, some as young as 8 years, are connected with armed factions, including combatants, those used for sexual purposes, or working in roles such as cooks and messengers. The UN has recently documented cases of children under-10 recruited by armed groups operating in eastern Democratic Republic of the Congo (DRC). In the Congo, where there are 7,000 child soldiers, Mai Mai militias are known to kidnap children who are considered ‘pure’, having special powers to prepare ‘magic’ potions thought to offer protection against enemy bullets. Despite these harsh realities there is evidence of positive change. Up to 650 child soldiers were released in March 2015 in South Sudan from the armed Cobra Faction, taking the number of child soldiers demobilized there to over 1300. However, hundreds of children are being abducted in Upper Nile and Unity States by forces of both Government and Opposition. In May 2015, 357 child soldiers were released in the CAR following a UNICEF-facilitated agreement with militia and armed groups. In 2012 the Burmese Government, through a Joint Action Plan (JAP) signed with the UN pledged to end the recruitment and use of children in its armed forces and Border Guard Forces (BGFs). It also promised to protect children from future recruitment. By June 2015, 646 children had been released by the military under the JAP. However, children continue to be unlawfully recruited into the Burmese Army (Tatmadaw), with 340 cases of under-age recruitment reported to the International Labour Organization (ILO) in 2013 and 2014. Many are lured into the army through false promises. The falsification of age documents by recruiters and civilian “brokers” continues unchecked with no effective sanctions, as highlighted in UK-based NGO Child Soldiers International (CSI) 2015 report ‘Under the radar’. In 2013 the Burmese Government launched a nation-wide awareness raising campaign, with families of victims encouraged to report to the ILO and the UN Country Task Force on Monitoring and Reporting (UNCTFMR). The Government also indicated that all battalions and some BGFs had received instructions not to recruit under-18s. Access by the UNCTFMR to military sites has improved, although children who escape from the Burmese Army continue to be treated as adult deserters. In 2013, the Burmese Army set up Scrutiny Boards, but lacking operational independence they have failed to achieve effective control over under-age recruitment. Few prosecutions have been brought against civilian ‘brokers’ and similar politico-cultural obstacles prevent military personnel being held criminally accountable. Battalion commanders remain under pressure to recruit with penalties for failure to meet recruitment targets. The steps taken in Burma towards liberating child soldiers provide useful lessons for other nations with similar practices. Recruitment and use of child soldiers’ must be fully incorporated into all peace processes, with effective mechanisms established to verify and release children from all armed groups. Registration of all births and nationwide issue of identity documents will help protect children against unlawful recruitment. The international community needs to support national authorities in strengthening recruitment procedures and holding violators criminally accountable. “Louder than words: An agenda for action to end state use of child soldiers”, published in 2012, includes a helpful “10-Point Checklist” to assist states and other stakeholders in assessing risk and identifying the legal and practical measures needed to end the use of child soldiers. In 2011, following campaigning by CSI and Forces Watch the UK Government announced an amendment to existing Armed Forces regulations granting under-18s in the armed forces discharge as a right. UN experts and UK parliamentary bodies have previously recommended an MoD review of recruitment age, with a view to raising it to 18 years, but to date no such review has been undertaken. Child soldiers are robbed of their childhood and their rights, and their experiences have devastating effects on their physical, psychological and intellectual development. Who would wish to have this life story for their child: kidnapped from their home at 10, forced to kill another child at 11, raped at 12 and taken as a ‘wife’ of a rebel commander? This was Agnes‘ experience when abducted by the Lord’s Resistance Army (LRA) in north Uganda. She was reunited with her sister when she managed to escape at 13 but left orphaned and traumatised. Although the conflict is over, 20 years of war and insecurity in north Uganda have ongoing community impacts and for the 20,000 displaced and kidnapped children. The LRA used sexual violence as one of its weapons, which combined with a lack of health care and education led to a high instance of HIV infection. The PAORINHER (Patongo Orphan Infants Health Rehabilitation) Centre is HART’s Partner in northern Uganda, supporting and treating HIV-positive children and their care-givers. The clinic provides medical aid, counselling, nutrition and education to children and their caregivers. As a result of fund-raising during 2014 PAORINHER was able to almost double the number of children supported from 215 to 371, 201 of whom are girls. PAORONHER has worked with ex-child soldiers of the Lords Resistance Army (LRA). There are still many more needing this vital support as they continue the long process of reintegrating into ‘normal’ life. Encouraging life skills and economic autonomy is central to rehabilitation and requires long term support and funding to be effective. Until the last child soldier is free this issue needs to be at the centre of the international radar. 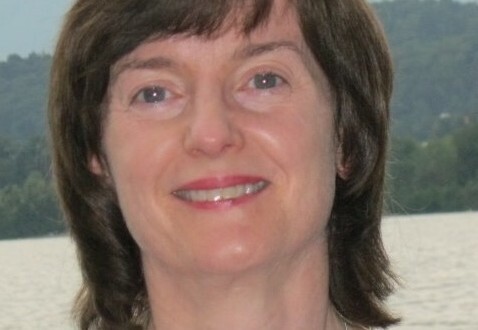 Adele Pilkington is a medical doctor with post-graduate qualifications in theology and an interest in mission. 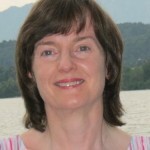 She has several years’ experience of providing voluntary medical support to humanitarian aid agencies.